Fort Saskatchewan students create their own “I Have a Dream” statements as part of a project inspired by Martin Luther King Jr.
Carole Bossert, a Grade 1 teacher at SouthPointe Elementary School has committed to celebrate Black History Month with her students, believing that no matter your cultural background the stories are impactful and hold valuable lessons. 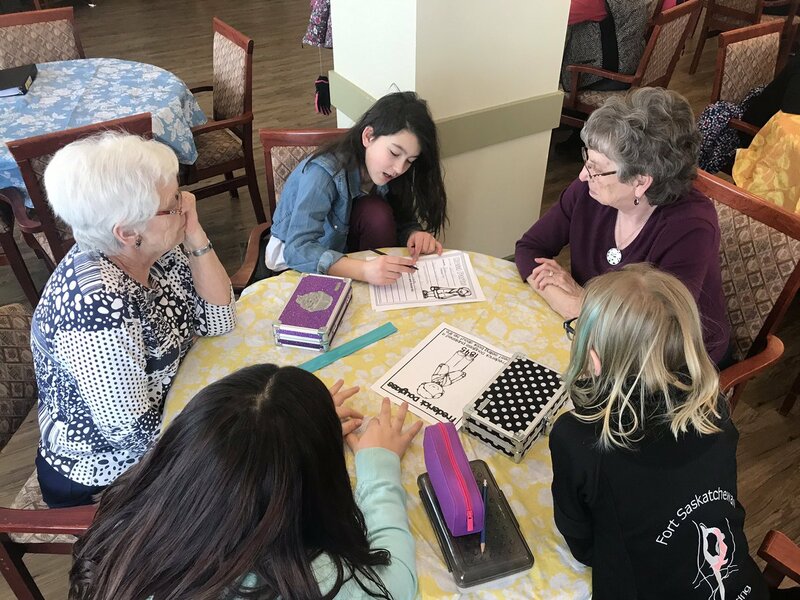 Through the Seniors and Youth Networking Communities (SYNC) program, Bossert first took her Black History Month lesson outside of the classroom while visiting local seniors. The SYNC program is designed to provide both young and old a chance to share stories and create meaningful relationships. It was during their latest visit they used their time together to talk about black history. Elk Island Public Schools noted that it gave the seniors a chance to share their own memories of the way things used to be. Back in her Grade 1 classroom, Bossert’s lessons are ongoing. Students are being taught about many different civil rights heroes like Jackie Robinson and Viola Desmond, who was arrested for sitting in an area of a movie theatre reserved for white Canadians. These stories educate students about discrimination in both Canada and the United States. The Famous Martin Luther King Jr.’s speech, “I Have a Dream” has inspired a class project. Bossert’s students are coming up with their own “I Have a Dream” statements and incorporating them into art and literacy projects. She is working with students to think about how they envision a better world and how to make those dreams a reality. February is Black History Month throughout Canada.